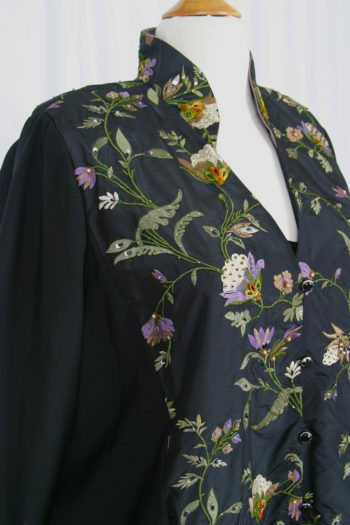 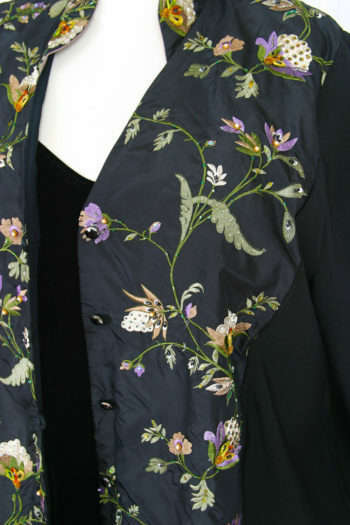 Plus Size Special Occasion Mandarin Jacket Black Ivory Green Purple Embroidered Beaded Silk. 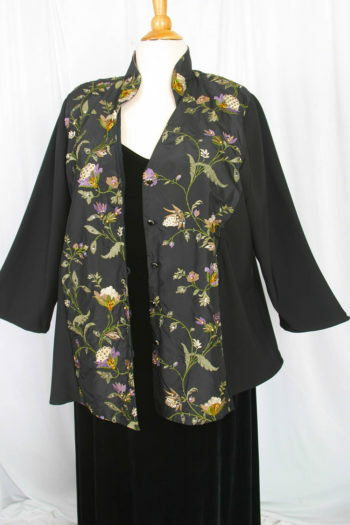 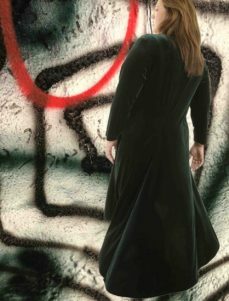 This Mandarin Jacket has princess seams carving center front and center back panels with solid black sides and sleeves. Our exclusive Mandarin styling features a plunging Vee neckline that opens up the standing collar, keeping a long, vertical interest. 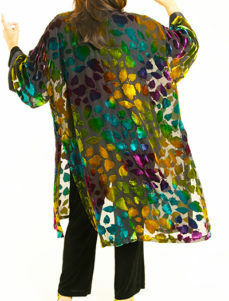 A One-of-a-kind in our size S (18/20), it can be made-to-order in other sizes. 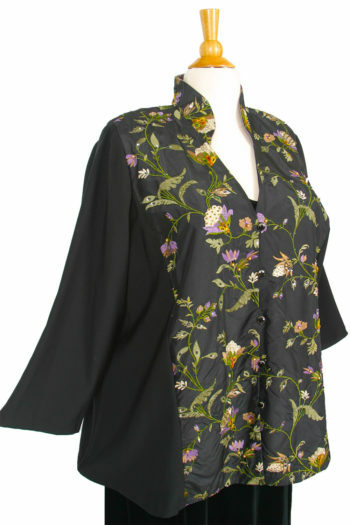 Consult with us for exact measurements and any questions. 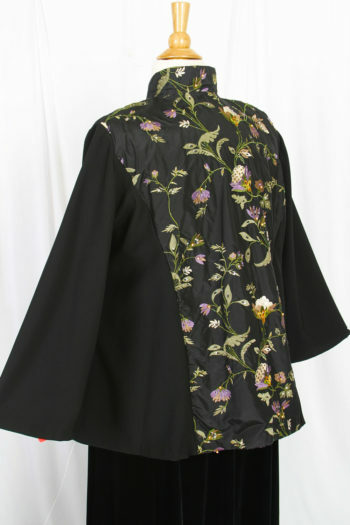 We created this style to be Easy to Fit: Simple styling plus side seams AND princess seams make it easy to alter down onto your body for your Precise Fit by your Local Alterations Professional. 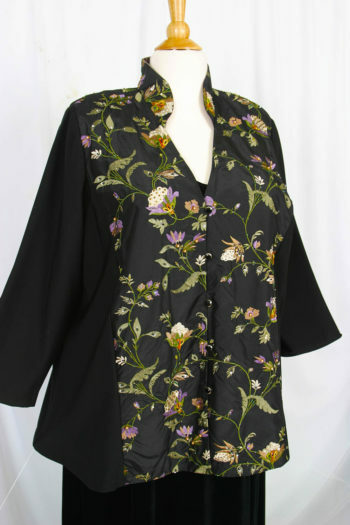 Be the first to review “Plus Size Special Occasion Mandarin Jacket Black Ivory Green Purple Embroidered Beaded Silk” Click here to cancel reply.